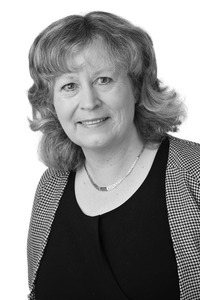 I am Senior Associate in the Private Client Department, based in the Woking office. I advise in relation to wills, trusts, powers of attorney and inheritance matters, with a particular emphasis on strategic tax planning and asset protection, an area in which I have many years of experience working with both UK and non UK domiciled clients. I enjoy helping my clients to achieve their chosen objectives in the most tax effective way, thinking laterally around a problem wherever possible. I feel privileged to be able to help people at what can sometimes be difficult times in their lives, using my specialist knowledge and experience to give practical legal assistance combined with compassion and understanding at a personal level. I studied at Cambridge University, qualifying as a solicitor in 1986. I trained and worked in the private client departments of two major London firms before taking a career break to raise a family. After resuming my legal career I was soon made a partner at another firm in Woking, where I worked for 7 years. Prior to qualifying as a solicitor I studied piano and organ at the Royal College of Music and still enjoy playing regularly, often as an accompanist for charitable recitals, including past performances with Dame Judi Dench and Michael Williams as well as accompanying Sir Patrick Moore on his xylophone, all in aid of Cancer Research UK. At a more leisurely pace I enjoy walking, cycling and skiing and singing with the Bach Choir in London.